Dr. Nadeau is a licensed psychologist, marriage and family therapist and master’s prepared nurse. For more than 25 years she has been in private practice providing individual psychotherapy, couple therapy, family and group therapy for a wide range of issues. Her roles have included intensive care nurse, college faculty, researcher, psychotherapist and author. 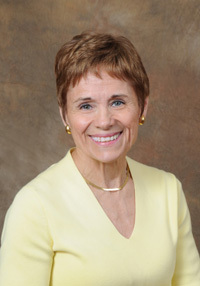 Dr. Nadeau is a sought after speaker and teacher. 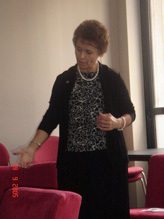 She offers inspirational keynotes and informative workshops, webinars, and on line classes. She is available for consultation both over the phone and on site. Read recent article about Dr. Janice & Luther in the new office. 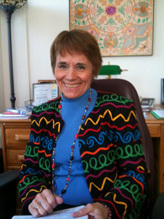 Dr. Nadeau is well known for her work in the field of death, dying and bereavement. Her ground-breaking research on bereaved families led to the publication of Families Making Sense of Death (Sage, 1998) which in turn catapulted her onto the international stage. She was invited to join the prestigious International Work Group on Death, Dying and Bereavement (IWG). IWG is a group of scholars that meets every 2 years in a different country to promote theory, research and practice in the death and dying field. Dr. Nadeau has presented her work at the University of Bologna, Kyoto University, University of Sydney, plus 7 other sites in Australia and New Zealand as well as multiple sites in the US and Canada. Dr. Nadeau’s broad knowledge base stands her in good stead. Whether doing therapy, speaking or teaching Dr. Nadeau successfully integrates what she has learned over the years about both physical and mental health and what constitutes good care for individuals and families. © OTC Publishing. All rights reserved.